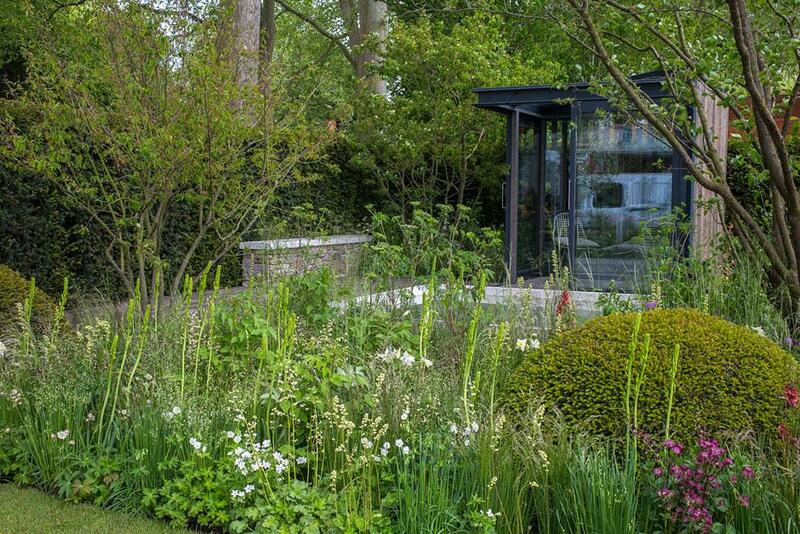 We are pleased to say that The Cloudy Bay Garden in association with Vital Earth built by Big Fish Landscapes has been awarded a Gold Medal at the RHS Chelsea Flower Show 2015. Harry and David Rich have designed the Cloudy Bay Garden – in association with Bord na Mona – to reflect the tasting notes and characteristics of two of Cloudy Bay’s popular wines. It is a garden in which to enjoy wine, taking you from the fresh and clean tones of a Pinot Noir with planting in red, purples and plums to the floral, dark and earthy tones of a Sauvignon Blanc with light white and green planting. to reflect the tasting notes and characteristics of two of Cloudy Bay’s popular wines. It is a garden in which to enjoy wine, taking you from the fresh and clean tones of a Pinot Noir with planting in red, purples and plums to the floral, dark and earthy tones of a Sauvignon Blanc with light white and green planting. A contemporary moveable shack in the centre of the garden reflects the vineyard’s heritage, giving different perspectives of the garden and creating a fluid and adaptable space. The boundary conceals pull out seats and a table that folds down to reveal an art piece. British Native Field maple and Hawthorn trees deepen the natural feeling crafting a layered canopy over the garden. The large water feature mirrors the dimensions of the shack and portrays the clean, crisp character of the white Sauvignon Blanc.